Milk Methods Demystified Pt. 1 | Wholesale Coffee Co.
Hi everyone and welcome back to A new series in our hints and tips segment. 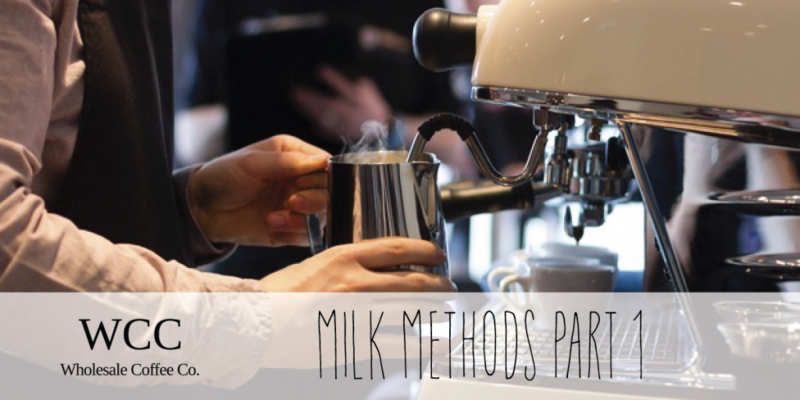 This post we will be going over how you can improve on your milk steaming methods to become more consistent from coffee to coffee and work up towards pouring patterns. One of the best things about a good milk steaming technique is how little work you have to do! When setting your milk jug up make sure that the tip of the steam wand is only just in the milk, if it’s too far in you’ll get that jet plane sound because there’s no air in your milk and if it’s not in quite far enough it’s going to get very bubbly. A good rule of thumb is once the milk is skin temperature try not to add any more air after that.